New regulations under the Occupational Health and Safety Act require American and Canadian employers to complete training for their Canadian employees AND contractors working in Ontario by the July 1st 2014 deadline. The Ministry of Labour’s “basic occupational health and safety awareness training” comes after concerns over the safety of vulnerable workers on job sites. Read on if you’re a U.S. employer paying Canadians in Ontario. The term “vulnerable workers” is attached to young people between the ages of 14 and 24 as well as older workers who have been on the job for less than six months as well as new immigrants unaware of regulations surrounding health & safety. It’s estimated that these workers are four times more likely to get injured within their first month of working than all other worker groups. It is worth noting that the training program for workers is a different curriculum than for supervisory positions. Training can be done online through the Ministry of Labour (MOL) and takes 45-60 minutes for both workers and supervisors. Not completing training for your Canadian employees working in Ontario and independent contractors in Ontario will see U.S. employers in violation of the Occupational Health and Safety Act. 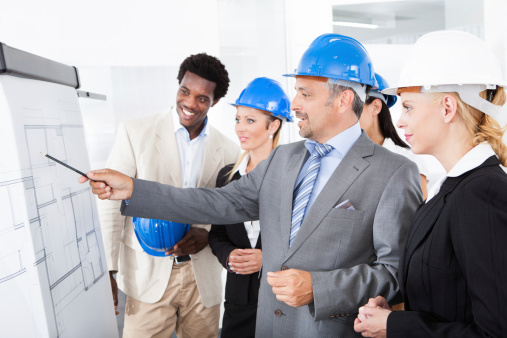 The health and safety of a workforce is of utmost importance for any employer but for American parent companies expanding into the Canadian market, this is especially pertinent as the Ministry of Labour often takes a special interest in U.S. companies as they often misstep in applying Canadian employment law. U.S. companies expanding business operations into Canada need to understand that not properly training a Canadian worker can lead to not only hefty fines and a loss of reputation, but endanger the welfare of the people handling business for them north of the border. 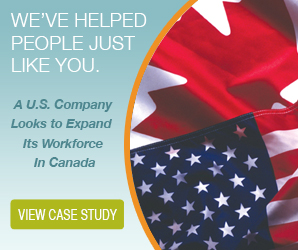 The Payroll Edge offers U.S. and foreign employers seamless workforce expansion into the Canadian market by being your Employer of Record (EOR) service –similar to a Professional Employer Organization (PEO) in the United States. Serious consideration to outsourcing should be made by U.S. companies expanding business operations into Canada who lack the expertise in employment law and taxation compliance. The Payroll Edge is much more than a payroll processor. Along with our Employer of Record services, we provide superior expertise in the Employment Standards Act in all Canadian provinces, guaranteed compliance on hiring independent contractors in Canada, and can offer best practices when a foreign entity is looking to expand into the great white north. To learn more about our service, please contact us.